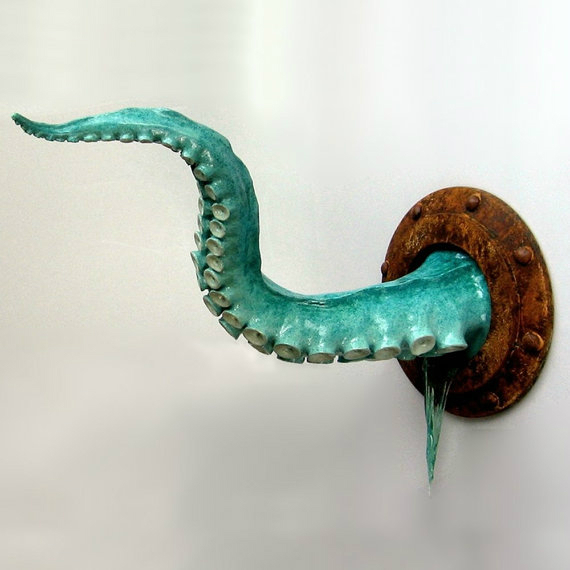 Steampunk Wall Tentacle by ArtAkimbo on Etsy. 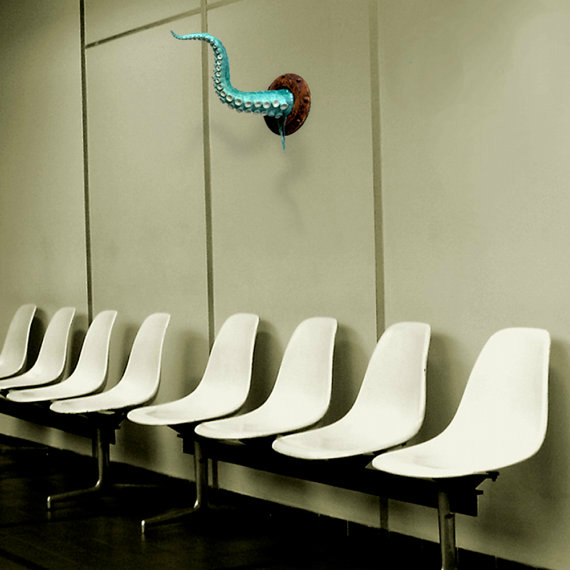 Cthulhu wall tentacle that’s big enough to mess with a room. 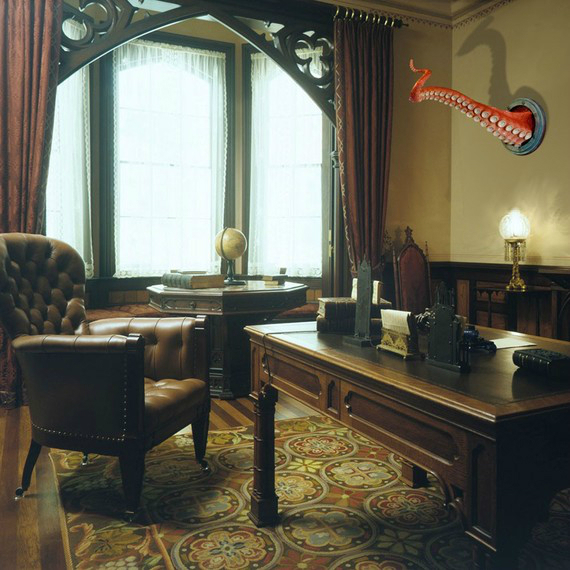 This is a 24″ octopus arm cast in urethane. 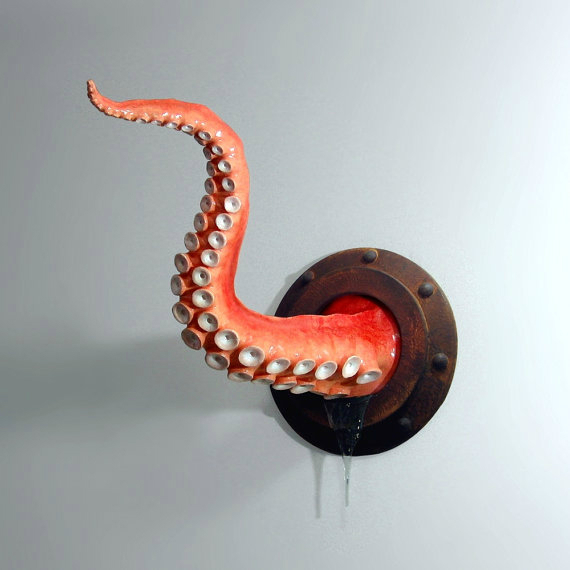 polished and painted, protruding from a 9″ round rust encrusted porthole, with a slosh of rigid seawater. Extends from the wall 18 1/2″. I cast these from my own molds made from my original sculpt. No animals were harmed in the process, save the usual cuts and scrapes to my poor, gnarled fingers. Sturdy yet lightweight, it hangs on a single screw. 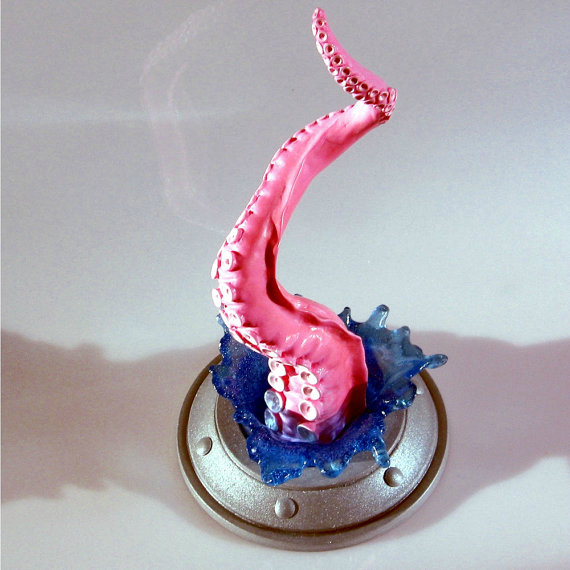 Sure to impress your friends and alarm your enemies. Or vice versa.